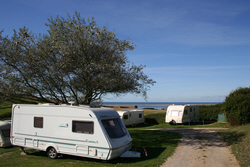 Bagwell Farm Touring Park is a trading name of OM Holidays Ltd.
Bagwell Farm is at the heart of one of Britain’s most beautiful and celebrated landscapes and a great base for your Dorset holiday. Open all year, for touring caravans, motor-homes and tents you’ll find a warm welcome and all you’d expect of a four-star park. We think you’ll also find a whole lot more! Bagwell Farm provides magnificent views of the World Heritage “Jurassic Coast”, the Chesil Bank, Fleet Lagoon and Lyme Bay. 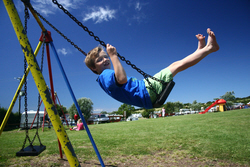 The park is in a tranquil rural location but benefits from easy-access to Weymouth and its sandy beaches (4.5 miles). As well as the attractions of Weymouth’s seaside and harbour, Bagwell Farm provides a great base to explore attractions throughout South and West Dorset. We think you’ll find so much to see and do at Bagwell and in the surrounding area that you’ll be back for more. 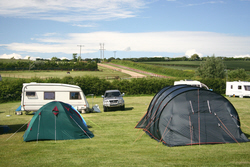 We offer a range of packages from tent pitches to fully-serviced and seasonal pitches for motor-homes and touring caravans. 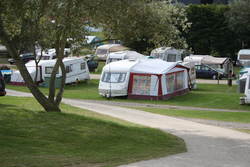 We also offer storage options and cater for organised caravan rallies. You can check availability or download a booking form using this web site or complete our on-line booking request form. For more on all that’s going on in 2015 check out Dorset Camper’s 2015 Events Diary.